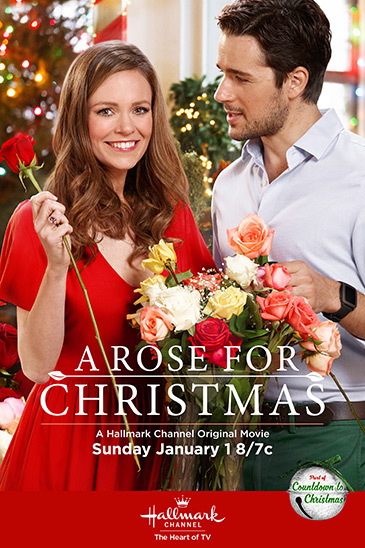 CELEBRATE a HAPPY NEW YEAR with HALLMARK's Last CHRISTMAS MOVIE this Season... "A Rose for Christmas" starring Rachel Boston & Marc Bendavid! "Countdown to Christmas" on Hallmark concludes this year on January 1st, 2017. It has been the longest "Countdown to Christmas" season ever (beginning on October 28th! ), and yet... it seems to have flown by so quickly - faster than Santa's sleigh, I always say! Sunday January 1, 2017 - New Years Day! PLEASE NOTE: This Movie only has ONE SHOWING! There are NO additional airings! Don't miss it or forget to record it - on Sunday, the 1st! As we say Goodbye to the Christmas Season and 2016 - let us Countdown to 2017 and Welcome in a Whole New Year, with Bright Possibilities! Christmas Specials continue on TV throughout New Years Day - see them all in the Christmas TV Schedule! Plus, you can see New Years Celebrations on TV, where you can watch the Ball Drop in Times Square. With My Prayers and Best Wishes for a Happy and Healthy Year Ahead for You and Your Families! as Winterfest starts next week! 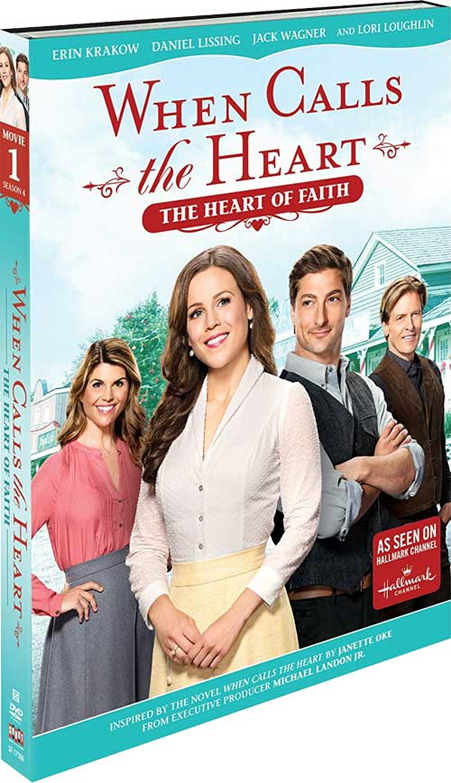 When Calls the Heart: The Heart of Faith - Hallmark Christmas Movie on DVD! for Season 4 of When Calls the Heart! CLICK HERE FOR MORE DVD DETAILS! This DVD appears to be the Christmas Movie! On the left side of the DVD (pictured below) you will see it says Movie 1 Season 4, and if you look even closer at the image you will see a Christmas tree behind/between Lori Loughlin (Abigail) and Erin Krakow (Elizabeth). 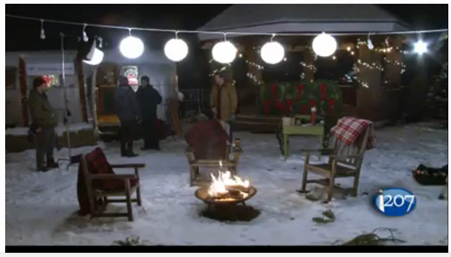 Then to the right of Daniel Lissing (Jack) and Jack Wagner (Bill), you will see Christmas decorations on the storefronts of Hope Valley. 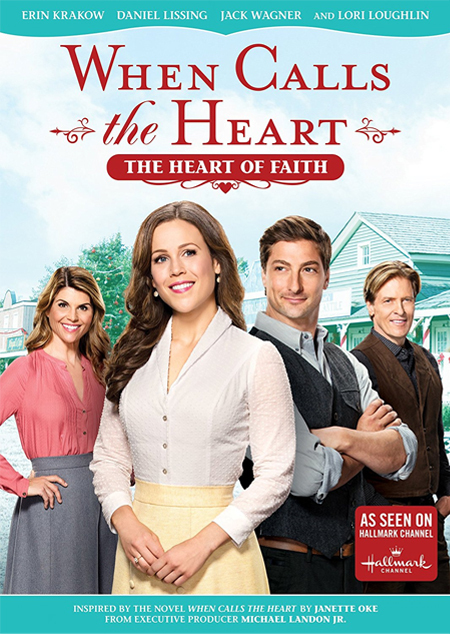 Storyline of "When Calls the Heart: Christmas", via Hallmark: "When a train derails and delays the arrival of much needed food, supplies and presents, Christmas in the settlement town of Hope Valley is in jeopardy. With the help of a mysterious visitor, a simple peddler who has a knack for helping people find what they need, Jack, Elizabeth and Abigail rally the town residents to come together in the true spirit of kindness and giving, proving that Christmas really is the season for miracles." See more movie images - Here! For more DVD details, visit Here! If you LOVE CHRISTMAS - This is THE PLACE to BE! 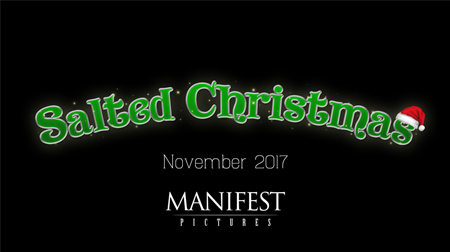 All throughout the Year... if I happen to hear any news on CHRISTMAS MOVIES, I will be sure to share this news with all of you - HERE! And, if YOU hear any Christmas Movie News - Please share in Comments Below! "Bestselling author Melissa de la Cruz has signed a three-picture development and production deal with Brad Krevoy Television, the TV and SVOD production arm of Motion Picture Corporation of America. The three TV projects will be written, produced and broadcast for Christmas 2017. The first movie, Angel Falls for Hallmark Channel, is about a fallen angel who falls in love and wins back her halo during the Christmas season. Rachel Boston (A Rose for Christmas) will star and Bradley Walsh will direct the film, which could spawn a potential series." 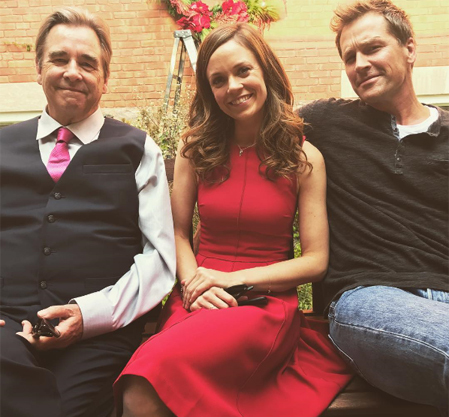 Paul Greene (A Wish for Christmas, When Calls the Heart) and Beau Bridges ("Flower Shop Mystery") will also star with Rachel Boston in Angel Falls. "The second film, Pride, Prejudice, and Mistletoe, is a gender-swapped re-telling of the classic novel. Production is planned for April 2017. Pride, Prejudice, and Mistletoe will also be published as a novel by St. Martin’s Press during the 2017 Christmas season. De la Cruz will write the screenplay and novel." *UPDATE Fall, 2017: This movie is not included in Hallmark's 2017 Christmas line-up. Stay tuned for further developments! "The third project, Nanny State, is the story of an FBI agent who goes undercover working for New York’s finest families to solve a child’s kidnapping during the Christmas holidays. De la Cruz will write the screenplay and produce, along with Vincent Balzano, Richard Abate, and Brad Krevoy Television." "Coincidentally, it appears that this new Royal Christmas movie (like A Rose for Christmas) is also revolving around the Rose Parade -- specifically, it seems to involve the Royal Court (and possibly the Rose Queen), and it takes place in someplace that is posing as Pasadena." 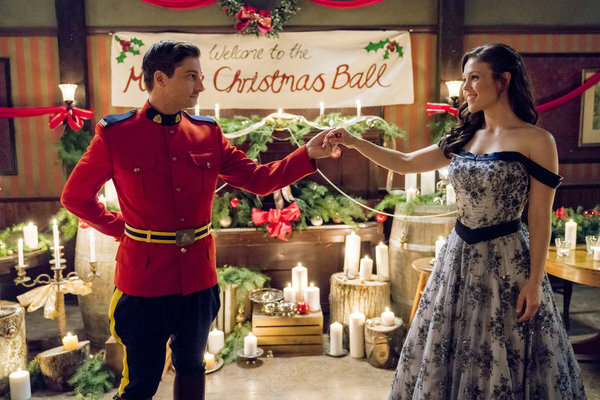 According to www.timescolonist.com (January 27, 2017): It looks like this movie may premiere on the UP network and be renamed "A Princess for Christmas." Stay tuned for any additional news! An anonymous commenter shared: "Harvey Lowry to direct 'Southern Christmas', a movie #filming in Oklahoma in January 2017." Storyline via IMDB: "Kara and Jessie are two teenager girls from very different worlds, but with a little Christmas magic, they find they have much more in common than they ever imagined." *Images via Manifest Pictures - "Salted Christmas" Facebook Page. "BIG EXCITING NEWS! 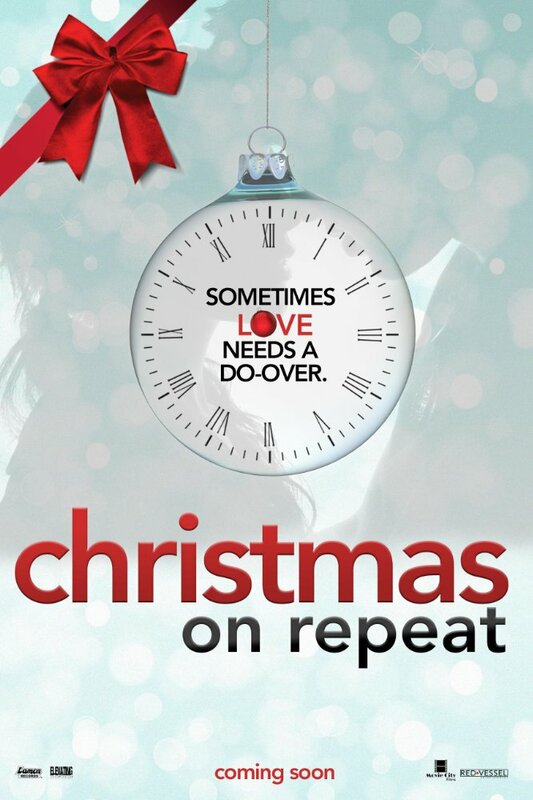 My book Sleigh Bell Sweethearts for Harlequin Love Inspired is currently in development with the Hallmark Channel! It looks like we'll have a Christmas movie coming out this year!!! *tosses snowflake confetti* "
*Credit for discovery goes to Abby from the Hallmark Facebook Fan Group! *This movie did not make it into production for 2016... perhaps, we will see it in 2017! *UPDATE: In the comments below, Amy shared this news: "I got a pitch today for an ebook by Teri Wilson and it said that Sleigh bell Sweethearts was in development for 2017. Just a little update there. :)"
*based on the characters of the 2013 Walt Disney Animation Studios film, Frozen. According to universityherald.com: Before "Frozen 2" is expected to hit the theatres in 2018, although there is no official confirmation and speficic day yet from Disney. The famed movie's fans can instead look forward to the upcoming "Frozen" holiday special, which will be airing on ABC in Christmas 2017." UPDATE: (July, 2017) - "Olaf's Frozen Adventure" will now be seen in 3D as a short before Disney's movie Coco in Theaters coming November, 2017! Storyline via disney.wikia.com, "On the first holiday season following Elsa's coronation, the story centers around Olaf's first experience with the holidays. Anna and Elsa have no true understanding of the holidays or seasonal tradition due to their enforced isolation over the years. This prompts Olaf to journey off into Arendelle in search of a holiday tradition for his family to share. Sven also joins the journey as Olaf's 'partner-in-crime'." This is a Disney Nutcracker movie. According to teenvogue.com, "The Nutcracker may have been performed on stage countless times, but now Disney is bringing it to the big screen once more. Earlier this month, legendary dancer Misty Copeland made the exciting announcement on Instagram that she'd be a part of the production, as the lead ballerina." Mackenzie Foy will portray the lead role of Clara. More details (via Anonymous commenter) "Walt Disney Pictures’ new live-action version of “The Nutcracker.” Most famously adapted as a ballet by Tchaikovsky in the late 19th century, the tale originated as a short story titled “The Nutcracker and the Mouse King” by E.T.A. Hoffmann in 1816. In it, a young girl’s dolls come to life on Christmas Eve alongside a noble nutcracker, who protects her from a villainous army of mice. There is no word on how much fidelity this new take will have to the original source material, although Powell apparently spent two solid years developing the project." Poster and Details via IMDB.com. Storyline: Sometimes love needs a do-over. This is a Family Comedy! Where this movie will be seen is currently unknown. *Credit: Thank you Gina for sharing this info! This is a movie about Charles Dickens called, "The Man Who Invented Christmas" via deadline.com. Storyline via IMDB: "After a series of his books have been flops, Charles Dickens decides to write and self-publish A Christmas Carol." Stars: Dan Stevens as Charles Dickens, Jonathan Pryce as John Dickens, Christopher Plummer as Ebenezer Scrooge, and more! See at IMDB.com. UPDATE: This movie will premiere in theaters – Thanksgiving Week – November 22, 2017! Storyline via Hallmark Press Release: Several days before Christmas, a reclusive author Andrew rents an isolated cabin in order to finish his long overdue novel. Just as Andrew is settling in, a young nurse named Holly, her daughter and wisecracking mother become stranded nearby. Andrew takes in the three unwanted guests and due to a heavy snowstorm, they end up staying through Christmas. The energetic young nurse breaks down Andrew's anti-social defenses. They soon find themselves involved in a number of festive activities, including chopping down a Christmas tree, a snowball fight, playing charades and gatherings around the dinner table. But the sudden arrival of Holly's ex-husband complicates matters and threatens her blossoming romance with Andrew. *According to imdb, this movie will now premiere in 2017. This is a Christmas movie being made based on the short story collection Let It Snow by John Green (The Fault in Our Stars). *UPDATE added April 15, 2016: This project has been delayed - it will now premiere in 2017. Book Synopsis/Storyline via wegotthiscovered.com: "Sparkling white snowdrifts, beautiful presents wrapped in ribbons, and multicolored lights glittering in the night through the falling snow. A Christmas Eve snowstorm transforms one small town into a romantic haven, the kind you see only in movies. Well, kinda. After all, a cold and wet hike from a stranded train through the middle of nowhere would not normally end with a delicious kiss from a charming stranger. And no one would think that a trip to the Waffle House through four feet of snow would lead to love with an old friend. Or that the way back to true love begins with a painfully early morning shift at Starbucks. Thanks to three of today’s bestselling teen authors—John Green, Maureen Johnson, and Lauren Myracle—the magic of the holidays shines on these hilarious and charming interconnected tales of love, romance, and breathtaking kisses." 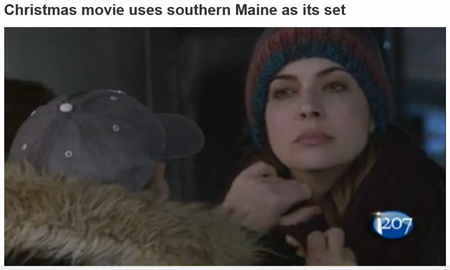 This movie was filmed in December of 2016, in Biddeford, Portland, and Kennebunkport, Maine. Holly Starr is a feature film by writer and director Michael Nickles. 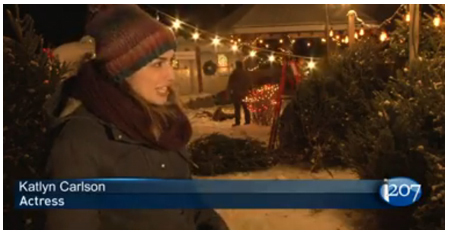 Via WLBZ 2 News - "The Christmas themed movie has a bit of mystery to it as well" according to Katlyn Carlson who plays the lead character named Sloan Kelly. "A struggling puppeteer, an artist in New York City, she loses a job and comes back to her home town kind of dejected," said Carlson. "Has a near death experience and she has this memory when her life flashes before her eyes of Santa Claus burying a bag of money." *For more news on this movie, plus a behind the scenes video, visit the WLBZ 2 News web-site. This is an animated film shared by Sleepy Kitty Paws in comments below. 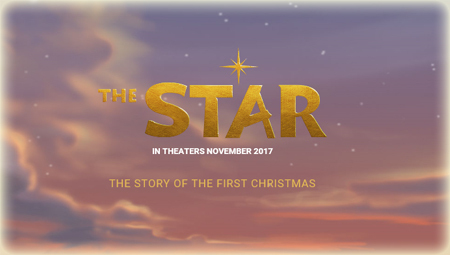 Storyline via thestarmovie.com: "In Sony Pictures Animation's THE STAR, a small but brave donkey named Bo yearns for a life beyond his daily grind at the village mill. One day he finds the courage to break free, and finally goes on the adventure of his dreams. On his journey, he teams up with Ruth, a lovable sheep who has lost her flock and Dave, a dove with lofty aspirations. Along with three wisecracking camels and some eccentric stable animals, Bo and his new friends follow the Star and become accidental heroes in the greatest story ever told – the first Christmas.."
Thank you so much, Sleepy Kitty Paws, for sharing this movie + links! It's refreshing to see a production that highlights the true meaning of Christmas! Celebrities giving voice to the animated characters in "The Star" are: Kelly Clarkson, Steven Yeun, Aidy Bryant, Keegan-Michael Key, Kristin Chenoweth, Anthony Anderson, Gabriel Iglesias, Ving Rhames, Delilah Rene, Kris Kristofferson, Gina Rodriguez, Zachary Levi, with Oprah Winfrey, Tyler Perry, Tracy Morgan and Christopher Plummer. Actress Patricia Heaton has been added to this cast! via fremonttribune.com: "A made for television movie is officially being filmed exclusively in Fremont (Nebraska) pending City Council approval." "On Thursday (January 5, 2017), The Tribune was notified by Fremont native and film-industry veteran Kevin McMahon that “12 Days of Giving,” a Hallmark-type film, is being shot in Fremont Feb. 1-17. The film is being produced by California-based Expression Entertainment which has direct interaction with Hallmark." "While McMahon wasn’t able to disclose an abundance of information about the film, he said that there will be at least two familiar actor/actress faces in Christmas-themed feel-good family film." According to the article at fremonttribune.com: "their aim is to get this onto the Hallmark Channel" ... "Because it really is that type of film, a total feel-good Christmas story." Storyline via IMDB: "A man who wins a small fortune decides to share his winnings by acting as a Secret Santa to people in a small town. One of the characters chosen is a boy whose father is deceased. The man grows fond of the Boys mother and begins to fall in love with her...."
UPDATE: UP will be playing this Christmas movie on their channel this Christmas Season! image via : instagram video - watch here! 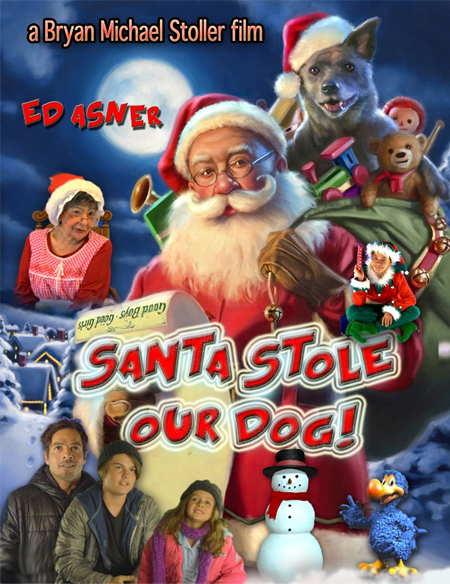 Starring Ed Asner as Santa! Storyline via IMDB: "On a snowy and cold Christmas Eve, Santa Claus accidentally steals the family Dog. So begins an epic journey through the twelve days of Christmas as the family ventures to the North Pole to get their beloved canine back." See rest of cast list on IMDB. Kelli Williams ("A Boyfriend for Christmas") and Jonathon Scarfe ("Angel of Christmas") also starred together as husband and wife in the UP original drama series "Ties that Bind." Looks like we can expect this movie to air on UP-TV this Christmas Season, according to Kelli Williams' instagram post. 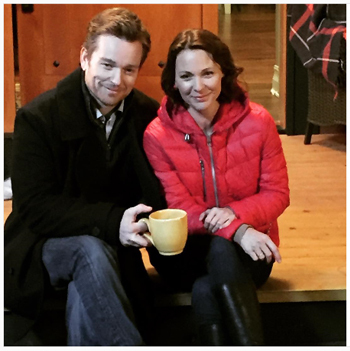 Jonathan Scarfe and Kelli Williams on set of "Christmas Solo"
image via: Kelli Williams' instagram post. UPDATE: (March, 2017) The TV movie “A Christmas Fury” is a spin-off to CBC’s “Hatching, Matching and Dispatching. It will air on the Canadian channel CBC this Christmas. Storyline via IMDB: "A single woman, struggling to believe in love and miracles, walks into a shoe repair shop on Chicago's Westside where the proprietor's magical gift is hooking up singles through their shoes. The catch is that the first date is the wedding." Via cinemablend.com... "Disney Is Eyeing (actress) Anna Kendrick For An Intriguing Christmas Movie... Penned by Miss Congeniality writer Marc Lawrence, Variety reports that this movie, which has the running title Nicole (a twist on Saint Nicholas), would see Kendrick playing Santa Claus' daughter, who "takes over the family business" after her dad retires and her brother gets cold feet with the job before he's supposed to take off on Christmas Eve." According to IMDB this is an Untitled Santa Claus Project: Anna Kendrick plays Santa's daughter, (rumored name) Nicole Claus, who finds herself having to take over the family business when her father retires and her brother, who is supposed to inherit the role of Santa, gets cold feet. UPDATE September 2017: Via movies.mxdwn.com: "Nicole will focus on the daughter of Santa Clause. After her father’s retirement, it comes time to decide who will succeed him and deliver all the Christmas gifts. While her brother could have become the new Saint Nick, his nerves prevent him from pulling off the job. This leaves Nicole with the important mission to continue holiday customs." Release Date: Current release date is November 9, 2019! Disney has a new movie project titled "Dashing Through the Snow". Via The Tracking Board: this "action/comedy follows a cop in New York City who arrests a burglar during a reported breaking and entering on Christmas Eve. However, the officer gets into hot water when he discovers that the man may or may not be the actual Santa Claus." UPDATE: October, 2016- THIS MOVIE IS STILL IN THE PRODUCTION, CASTING PHASE. UPDATE: January 12, 2017- Via cinemablend.com... "The currently-titled Nicole (movie mentioned above) isn't the only Santa Claus-centric movie Disney has in the works. Dashing Through the Snow is also in development, which will see Kevin Hart playing Santa Claus in a story about a workaholic father who's trying to repair his relationship with his son." Via http://mstarsnews.musictimes.com/articles/118618/20170112/anna-kendrick-is-santa-claus-daughter-in-new-disney-christmas-film.htm: "Elizabeth Banks (Pitch Perfect) will be producing and writing "Mrs. Claus", a movie about Mrs. Claus and the struggles she goes through to make Christmas perfect for everyone in the world." Alicia Witt revealed via Twitter: "Yes. We are developing one (a Christmas movie!) based on my original idea for Christmas 2017- I'm writing a new song for it too! @hallmarkchannel"
*UPDATE Fall, 2017: Unfortunately, it doesn't appear that Alicia Witt will be creating her own Christmas movie this year, but she will be starring in the movie "The Mistletoe Inn," based on the book by Richard Paul Evans. Stay tuned for further developments! 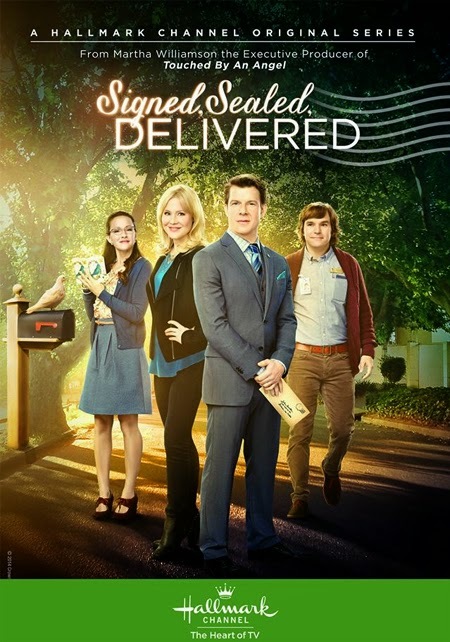 Storyline via www.timescolonist.com: The film stars Laura Bell Bundy (Anger Management, How I Met Your Mother) as Emily, a big-city lawyer who returns to her hometown to take over her late grandmother’s bakery. When the struggling baker receives a handmade Christmas calendar from a secret admirer who instructs her to “open each day, one at a time, until my secret is revealed,” the small town’s ensuing obsession with her mystery draws national media attention. 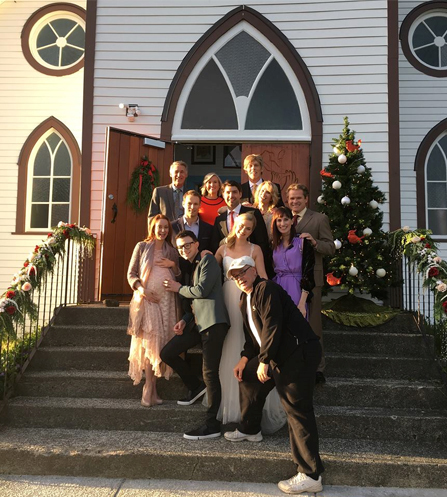 Also, according to the www.timescolonist.com article, it looks like this movie will premiere on the UP network this Christmas! IMDB has this storyline description: "When Emily, a struggling baker in a small town, receives a handmade Christmas Calendar from a secret admirer, the local residents become obsessed with finding out the identity of the sender." Title released on production weekly! Hopefully, it is based upon the original story, The Best Christmas Pageant Ever by Barbara Robinson, which was turned into a precious one-hour special (available on DVD!) in 1983! I personally own it on DVD and consider it to be a treasure each Christmas! The original special - 'The Best Christmas Pageant Ever' is a powerful, real, beautiful story that tells the true meaning of Christmas! I truly hope this new production - is a re-telling of this same sweet story. Update (January 19, 2017): IMDB Pro shares a summary of this new production: "A suburban mom gets in over her head when she signs up to direct her neighborhood's Christmas pageant." It sounds like this is, indeed, a re-make of the original special! Thank you to the Anonymous commenter who shared this plot summary. According to IMDB, This is "a sequel to the popular movie, Beverly Hills Christmas (with Dean Cain) that was shown on UP TV during Christmas 2015." This title is listed at IMDB as a family movie. Title discovered on Production Weekly. UPDATE: IMDB summarizes this as "Two sisters and a holiday to remember." Christmas Wedding March (#3) becomes Valentine Movie! If you saw the Hallmark movie "The Wedding March" last June (2016), then you will recall the story of two college sweethearts Olivia Parsons (Josie Bissett) and Mick Turner (Jack Wagner), who "bump into each other" literally years later - conveniently at the precise time of Olivia's upcoming wedding! Unbeknownst to either of them until the last minute... of all places, of course, the wedding is taking place at Mick's resort! In the meantime, planning this wedding rekindles and resurfaces old feelings - that neither in the end, can further deny. Josie Bissett and Jack Wagner in Hallmark's "The Wedding March"
An actual wedding never takes place in the first movie "The Wedding March", but I'm hopeful it will in the second. The first movie was a sort of introduction to these characters, their lives, their work, and family! 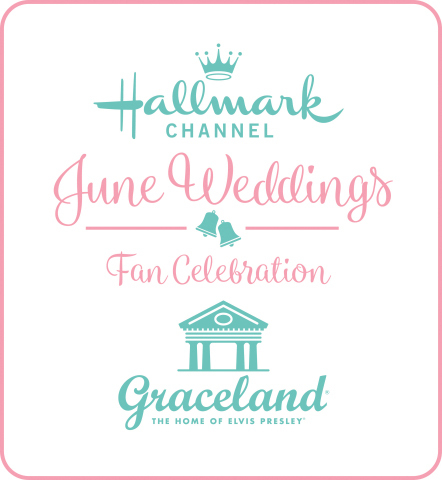 The second movie "June Wedding March" will premiere this June (2017) during the Hallmark Channel's "June Weddings" themed movie event! 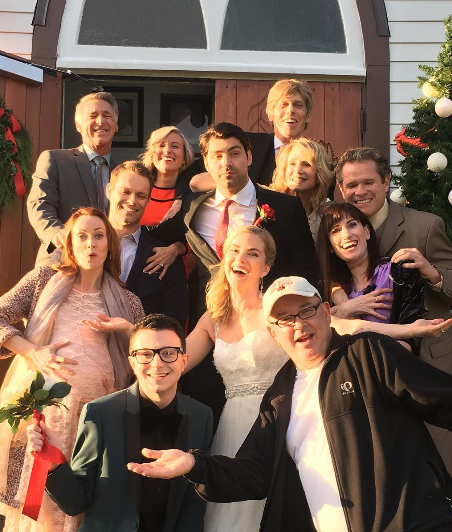 Then, the movie "Christmas Wedding March" will be a third movie in "The Wedding March" movie series starring Jack Wagner and Josie Bissett at Christmastime! 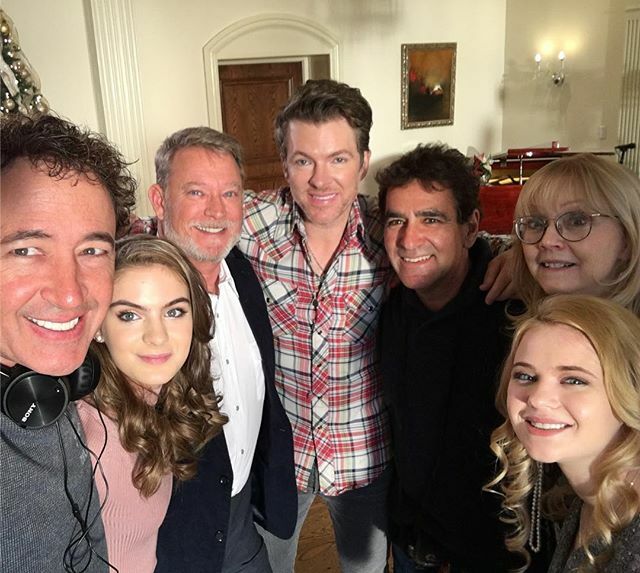 According to Jack Wagner's interview, the next movies in this series will be even more musically involved, including Hallmark's CEO Bill Abbott getting in on the music! *UPDATE - May, 2017: It looks like this movie was changed from Christmas to Valentine's Day! It is now titled: "The Wedding March: A Valentine Wedding." "With her marriage on the rocks, Caroline wants a divorce. However, on the way to the divorce attorney, she is hit by a car and comes down with amnesia. Unable to remember anything about her life - or her marriage - she depends on her loved ones to rediscover herself. In the process, she falls in love all over again." This movie - re-titled Second Chance Christmas will premiere November 5, 2017 on UP! This movie is described as a Family TV Movie on imdb.com. Storyline via imdb: "Time pass so quickly once you become an adult...before you know it time is coming to the end - this Holiday Movie is about once more capturing a time almost forgotten.. Cast Members include: Brian Adam Mahoney, Dean Phillippi Sr., Julissa Ciara, Jann Van Dyke, Buzz Van Dyke, Sara Bajger, and more on imdb. 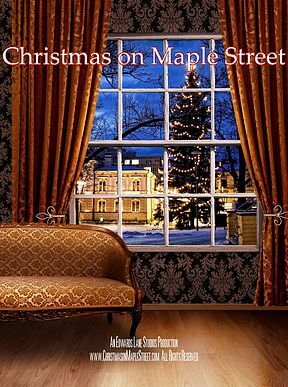 "Christmas on Maple Street" is about a hard working family that learns the true meaning of Christmas. Storyline: "It is a heartwarming story about love, family, faith, disappointments, courage and believing in yourself even at the time of adversity. When we look in the mirror, will we like what we see?" According to IMDB this is a TV Movie. It is also listed as being a musical! Storyline via IMDB: "A forgotten West Virginia mining town experiences a musical & emotional rebirth when a snowstorm strands a touring orchestra on Christmas Eve." According to it's IMDB listing this will be a Family TV Movie. According to IMDB this is a fantasy. Storyline: "A cynical small town businesswoman has her lack of faith in the spirit of Christmas tested when she wakes up one day to find that the holiday has vanished." According to IMDB this is a Family TV Movie in development for 2017! 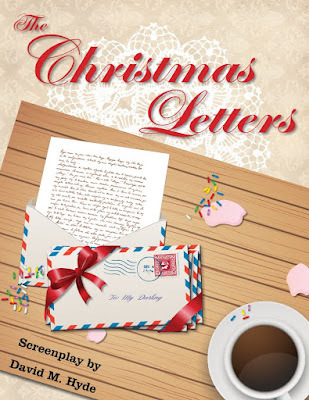 Storyline via IMDB: "A young girl finds a stack of love letters written over the years, each Christmas, from her Grandfather to her Grandmother. As she reads the letters and learns about love she also, unknowingly, prevents her parents divorce." According to IMDB this is a Family movie. Storyline via IMDB: "Home for the first time in years for her sister's holiday wedding, Noelle McDowell is forced to face Thom Sutton, the man who jilted her when they were both teenagers." Starring Haylie Duff as Noelle. According to IMDB, this is a Romance..
Storyline via IMDB: "When a cynical young cosmetic surgeon who migrates to the tropics every Christmas is stood up by her date..."
According to IMDB, this is a Comedy. Storyline via IMDB: "A woman who makes a Christmas list every year is shocked when those wishes begin to come true." According to IMDB, this is a TV Movie. Storyline via IMDB: "A strong female executive learns the meaning of Christmas through a series of events at a homeless shelter operated by an ex-NHL player in New York." Furthermore, Jake personally shared with me that he will pass along further details on "A Winter Wedding" - where this will be seen, etc... when it is available. Plus, he shared this will be a "fun, family friendly film." Stay tuned for more details! Cast includes: Andrea Bowen, Nick Bateman, Brooke Butler, Adam Senn, Susan Walters, Jane Sibbett, Bruce Thomas, and TV host Jordan Murphy. 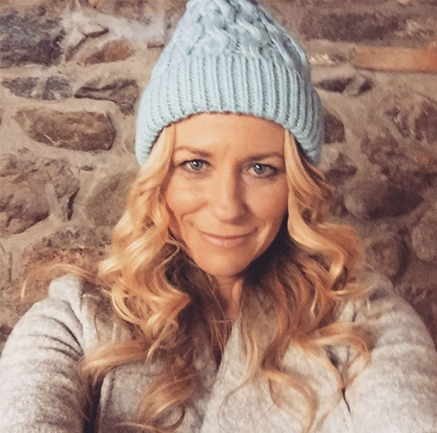 Starring country singers Deana Carter ("Strawberry Wine") and Kelsey Lamb. This movie is currently filming - March, 2017. A Very Country Christmas will premiere November 12, 2017 on UP! Storyline via IMDB: "It's Christmas Eve in Oslo, Norway, and vigilante cop Nils Scroogesen is in no mood to celebrate -- and you can take that to the bank." *This appears to be an upcoming Netflix Christmas movie. "INSP Films has commenced production on the romantic movie, Christmas on the Coast, with filming taking place in the picturesque Georgia towns of St. Simons, Brunswick and Darien. The announcement was made by Gary Wheeler, Vice President of Original Movies at INSP Films. 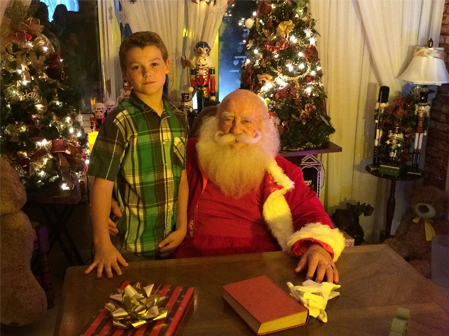 Christmas on the Coast is produced by INSP Films and will be distributed by Imagicomm Entertainment. The movie is scheduled for release in November 2017." Cast via INSP Press Release: "Cast in the leading role as Dru Cassadine is Julie Ann Emery (Better Call Saul, Fargo, Major Crimes). Brysen Flynn will be played by Burgess Jenkins (Remember The Titans, Nashville, Army Wives). Cait Pool (Sun Records, Vice Principals) is set to play Brysen’s daughter, Peyton. The movie is slated to feature veteran actors Bonnie Bedelia (Parenthood, Die Hard, The Division) as Ellie Cassadine and Clarence Gilyard Jr. (Walker, Texas Ranger, Matlock, Top Gun) as Fletcher Reese." 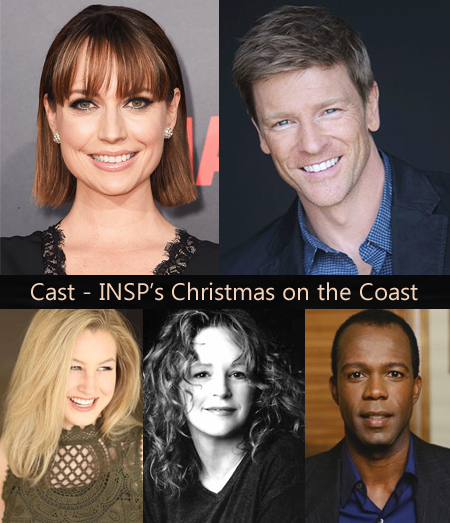 More on Cast for "Christmas on the Coast" revealed via Press Release - see here! 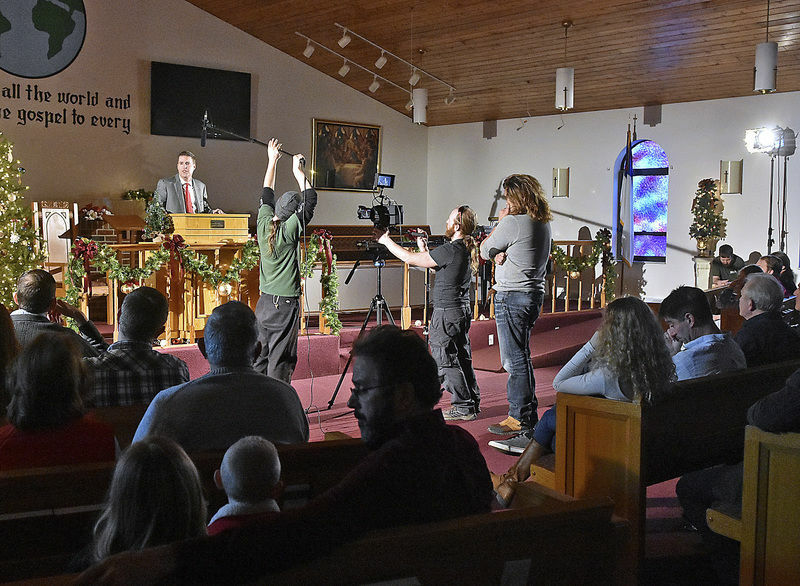 via register-herald.com: "Filming of a faith-based movie, “Megan’s Christmas Miracle,” is under way at various locations in Raleigh County. The movie is based on a book of the same name, written by Eleanor Wright, a local 70-year-old author. Jason Campbell, owner of JCFilms in Morgantown, suggested the family be a coal mining family instead, which better translates to an Appalachian audience. 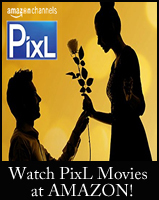 JCFilms specializes in family-friendly narrative films focusing on Christian viewpoints. She (writer Eleanor Wright) was adamant in pitching the story to filmmakers that the focus must remain on Christ. Her faith has always been important to her, especially after her two children were born." See this and more details - HERE! 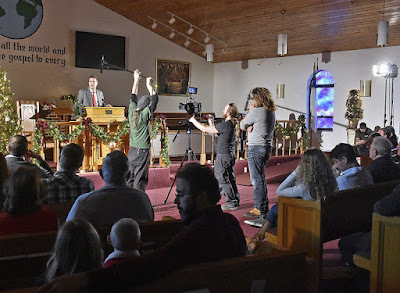 Photo Credit: Brad Davis/The Register-HeraldJCFilms crew members film scenes for a movie adapted to local author Eleanor Wright’s book titled "Megan’s Christmas Miracle" inside Hollywood Missionary Baptist Church Saturday evening. 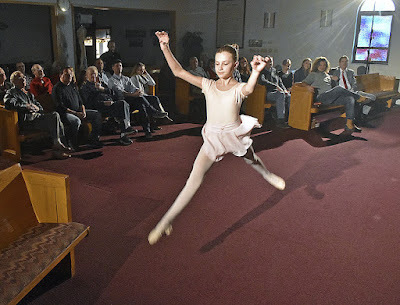 Photo Credit: Brad Davis/The Register-HeraldYoung actress and performer Brooklyn Nelson dances as she and JCFilms crew members film scenes for a movie adapted to local author Eleanor Wright’s book entitled Megan’s Christmas Miracle inside Hollywood Missionary Baptist Church Saturday evening. 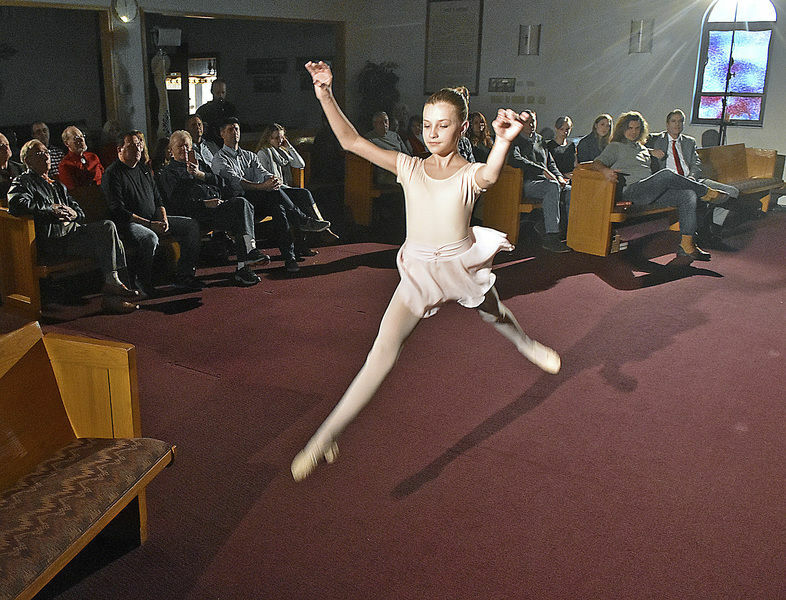 A handful scenes in the movie will feature several local residents as extras, photographed in the background. Starring in this film are Tim Goodwin, Brooklyn Nelson and Barry Daily. According to the register-herald.com article, we may "expect the film “Megan’s Christmas Miracle” to be released in the fall — either late October or early November." Hallmark Announces in Press Release: "Hallmark Movies & Mysteries announces the start of production on “Love Finds Its Way,” a two-hour Hallmark Movies & Mysteries Original World Premiere, shooting in Vancouver and set to premiere exclusively on the network, Sunday, July 9 (9 p.m. ET/PT) as part of the network’s highly-rated GOLD CROWN CHRISTMAS franchise. Catherine Bell (“Good Witch”) executive produces and stars in “Love Finds Its Way,” which also co-stars Victor Webster (“Girlfriends Guide to Divorce”). 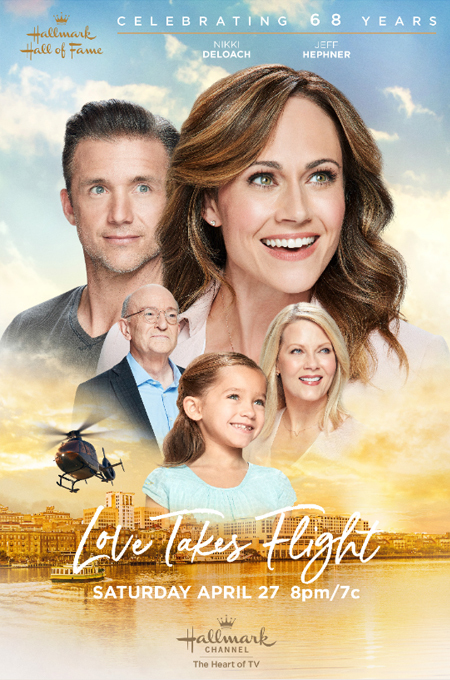 “Love Finds Its Way” is part of Hallmark Movie & Mysteries’ GOLD CROWN CHRISTMAS, a top-rated, annual July programming event on the network." Storyline via Press Release: "Jane Evans is a single mother dead set on protecting her teenage daughter Betsy from the harsh realities of life. When Betsy falls in love with an enlisted man, Jane tries her best to steer Betsy away from heartache. Little does Jane realize she and her daughter are about to learn important lessons of the heart and that taking chances can sometimes lead to the most extraordinary happy endings." See full press release - HERE. *This Movie has been renamed "Home for Christmas Day" and will premiere July 16, 2017 - Sunday! According to digitalspy.com: "The singer has produced and narrates the adorable cartoon story about a young Mariah's dream to find a puppy under her Christmas tree. Awwwwwww!" Storyline digitalspy.com: "Here's how Universal Pictures describes the movie: "When young Mariah (Santa Hunters' Breanna Yde) sees a darling little puppy named Princess at the pet store, she suddenly knows exactly what she wants for Christmas. But before her Christmas wish can come true, she must prove that she can pet-sit Jack, a scraggly rascal of a dog; in fact, the worst dog in the county! Naughty Jack turns Mariah and her family's Christmas preparations upside down in hilarious ways. Will Jack dash Mariah's hopes for her dream puppy? Or will Christmas reveal how love works in surprising and mysterious ways?" via NRB.com: "In the movie, subtitled “The Little Drummer Boy Meets The Nutcracker,” a poor but talented Little Drummer Boy seeks to win the friendship of the Pretty Girl he knows from the playground. Bedeviled by the Pretty Girl’s Bratty Brother and watched over by the magical village Toymaker, the Little Drummer Boy dreams an enchanted Christmastime world. Fantastically, the Pretty Girl shares the same dreamscape with the Little Drummer Boy and imagines her own adventure. Wakening on Christmas Day, the kids bring their families together to share their greatest gifts with each other, realizing that it is truly greater to give than to receive. “It’s a marrying of two Christmas icons – the Little Drummer Boy and Clara [of] The Nutcracker – as they go through adventure after adventure learning about Christian love, and then learning what they finally learn at the end – and that is: the most important thing is that which they sought, or thought they sought, the true joy came from giving it to each other,” shared Gene Foehl, one of the producers behind Christmas Dreams. 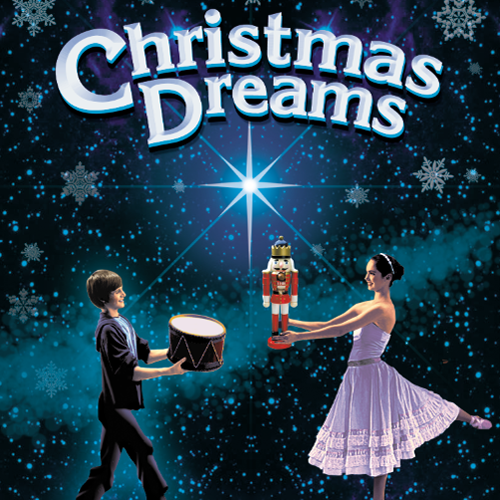 Christmas Dreams is entirely and wordlessly told through color, movement, and dance." See the trailer - HERE! Details excerpted via article on lowellsun.com: ""Spruces and Pines" is an independent holiday film - the movie includes two Christmas tree farms and a small-town downtown. The independent filmmakers, who live in Massachusetts, will be shooting completely on location with no sets. The Christmas love story involves the daughter of one Christmas tree farm owner and the nephew of another, said Director John Stimpson. Think Romeo and Juliet. 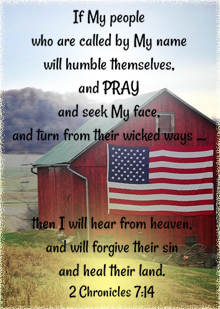 They have to figure out how to get their families on board and how to continue to run the farms. 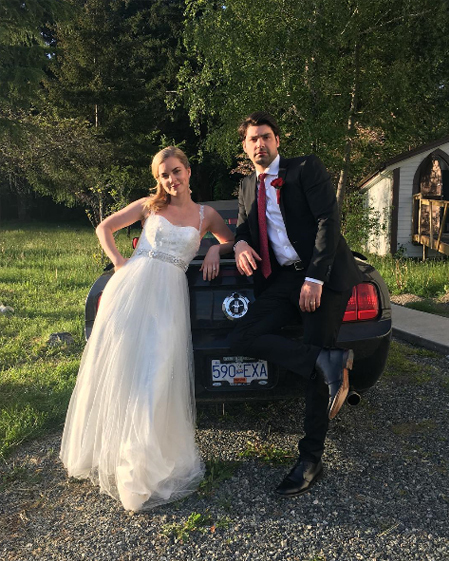 Lead actors Jonna Walsh and Nick Ballard have both been in studio movies and on television. The company came together in March, films in April and will have the film ready to sell in June. It will be out in December. According to Deadline.com: "The film centers on Regina (Erica Ash) and her estranged husband Franklin, music industry heavyweights who were married on Christmas Day and are facing a divorce on their anniversary unless they can be honest with each other and themselves. Redaric Willias, Eva Marcille, Allen Maldonado, Brely Evans and Richard Gant co-star. Erica Ash will also co-star in the film’s follow-up "You Can’t Fight Christmas" and record original songs for the romantic comedies." Not sure, yet, where these will be seen, or if they will be family friendly. Stay tuned for further details. This is a Christmas-themed TV Movie bringing back the cast of the mystery series "Psych." Storyline via reviewjournal.com: "In “Psych: The Movie,” fake psychic detective Shawn Spencer (James Roday) and his best friend, Burton “Gus” Guster (Dule Hill), will team up once again. Lassiter (Timothy Omundson), Juliet (Maggie Lawson), Henry (Corbin Bernsen) and Chief Vick (Kirsten Nelson) will also return for the movie, which picks up three years after the series finale. The friends, along with some returning fan-favorite characters, come together during the holidays after a mystery assailant targets one of their own." 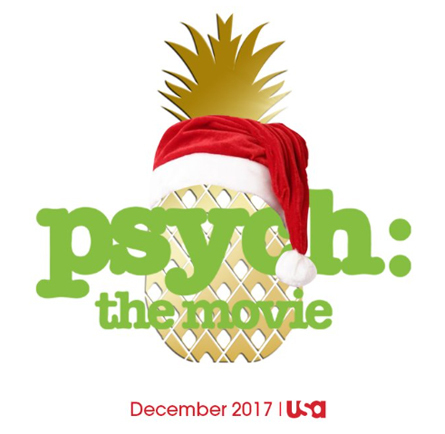 The 'Psych' TV movie will air on the USA Network this Christmas! Fox Broadcasting Company and Warner Horizon Unscripted Television have partnered with award-winning film, television and theater producer Marc Platt (GREASE: LIVE, "La La Land") on the LIVE musical event A CHRISTMAS STORY, inspired by the holiday classic feature "A Christmas Story" and the Tony Award-nominated Broadway production "A Christmas Story: The Musical." The three-hour live television production of A CHRISTMAS STORY will air this December on FOX. Storyline via Facebook: A broke puppeteer comes home for the holidays and gets wrapped up in a bizarre treasure hunt with her Nana, a paintballer, a Christmas tree salesman and Santa. *Rating is unknown. Don't know, yet, if it will be family-friendly or not? According to the Downtown Dundas BIA Facebook: "CP Xmas Productions, produced for the Hallmark channel, is currently decorating King Street for their movie 'Home for the Holidays'." 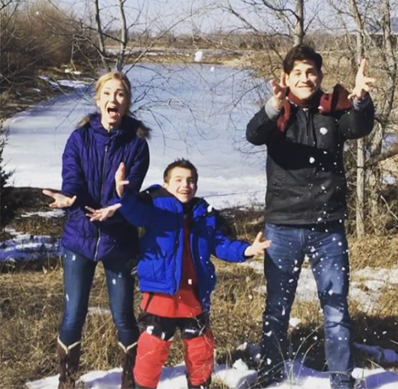 The film will star Brooke Candice Nevin ("Journey Back to Christmas," "On the Twelfth Day of Christmas") and Steve Byers ("Catch a Christmas Star"). *This movie has been renamed "The Christmas Cure"
Switched for Christmas - Candace Cameron Bure stars in new Hallmark Christmas Movie! Via an interview with hiddenremote.com, Candace Cameron Bure reveals she will star in another Hallmark Christmas movie this year! Hidden Remote: And we can’t forget about your Aurora Teagarden series. 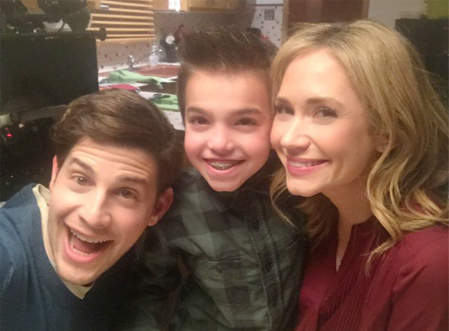 Where can your Hallmark and Fuller House fans find you next, and what can they look forward to? Bure: Season 3 of Fuller House will come out on Netflix in the fall, and you can always catch my mystery series, Aurora Teagarden, on the Hallmark Movies and Mysteries channel. 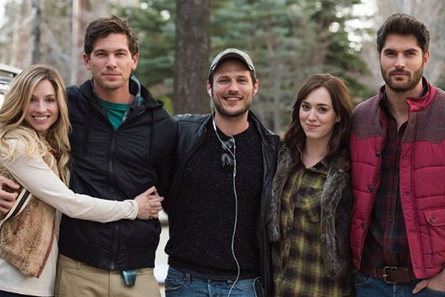 And I will have a new Christmas movie coming out on the Hallmark Channel! Storyline via Hallmark press release: Just because they are identical does not mean these twins even like each other. Estranged twin sisters get together for an obligatory pre-Christmas lunch, a year after their mother died. Both women are unhappy and frustrated with their own lives. Though not close, each is envious of the other's life. What's a twin to do but take advantage of this? And who would be the wiser? They do what any identical twins in need of new outlooks would do -- they swap lives until Christmas Day. And by doing so, each woman discovers the true meaning of her life and gains a deeper perspective and appreciation for what she already had. 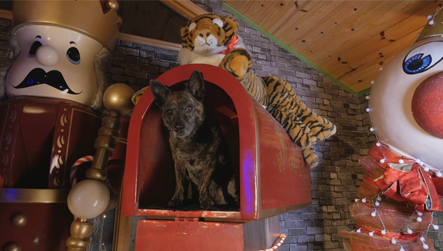 Margie Claus will premiere in 2019. Melissa McCarthy has been cast in the role, and from what I hear - they are planning to rival the movie "Elf" with this new Christmas Movie Musical Comedy! From Ace Entertainment comes an all new made-for-TV movie for the network - ION! 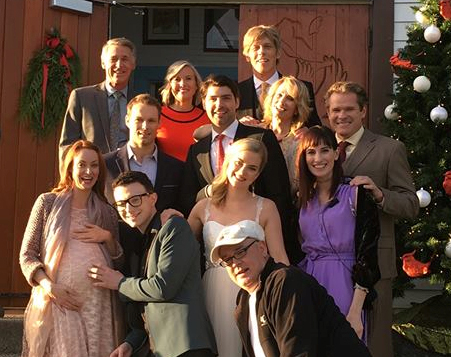 From Hartbreak films (owned by Melissa Joan Hart and her mother Paula - who is directing!) 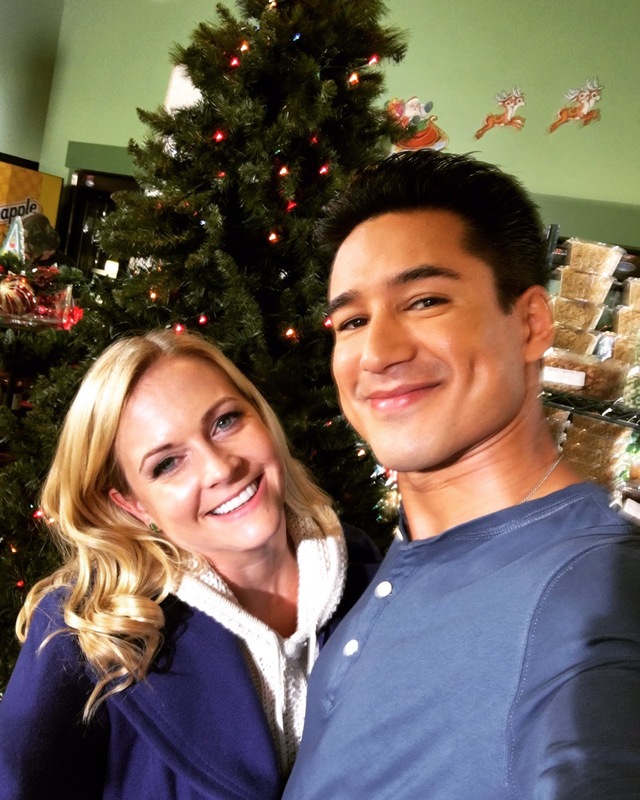 comes a Christmas movie starring Melissa Joan Hart and Mario Lopez - titled "Christmas Hours"! 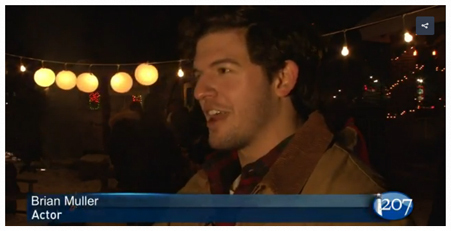 Storyline via FOX 61: "It’s a story about two competing toy stores during the holiday season. Hart and Lopez play the store owners who band together after a big box store moves to town and end up falling in love." *At this time, I'm hearing this might be a Lifetime TV movie! Stay tuned for further details! Another Hallmark Christmas Movie! Confirmed! Writer Richard Paul Evans revealed on his Facebook Page on August 2, 2017 - "Great News! Hallmark just green lighted the production of THE MISTLETOE INN for this next Christmas. The Mistletoe Promise was their 2nd most watched Christmas movie of 2016. I'll keep you updated. The Mistletoe Inn is written around a writer's conference. I'm planning on a cameo as one of the writer hopefuls in the movie." Since then, cast news for this Hallmark Christmas movie has been buzzing and Alicia Witt has also officially confirmed via social media that she is starring in this movie! Christmas movie starring Wes Brown, Jana Kramer, Faith Ford, and young actor Trace Masters. *Rumored to be for Lifetime! Christmas movie starring Arielle Kebbel, Markie Post, Corey Sevier, Madison Smith, Donna Benedicto, Caitlin Stryker, Jarrod Terrell, and Cassidy Nugent. Via Deadline.com: "Lifetime has greenlit holiday movie Secret Santa (working title), with The Fresh Prince of Bel-Air alumna Tatyana Ali, Emmy nominee Mindy Sterling (Austin Powers), Dan Lauria (The Wonder Years) and Brendan Fehr (Guardians of the Galaxy). The logline: Christmas is Hillary Nash’s (Ali) least favorite time of year. As the Senior Financial Analyst at the upscale Hudson Valley Outdoor Mall, she has to be the annual Christmas Grinch and cancel the leases of under-performing stores by the end of the year. 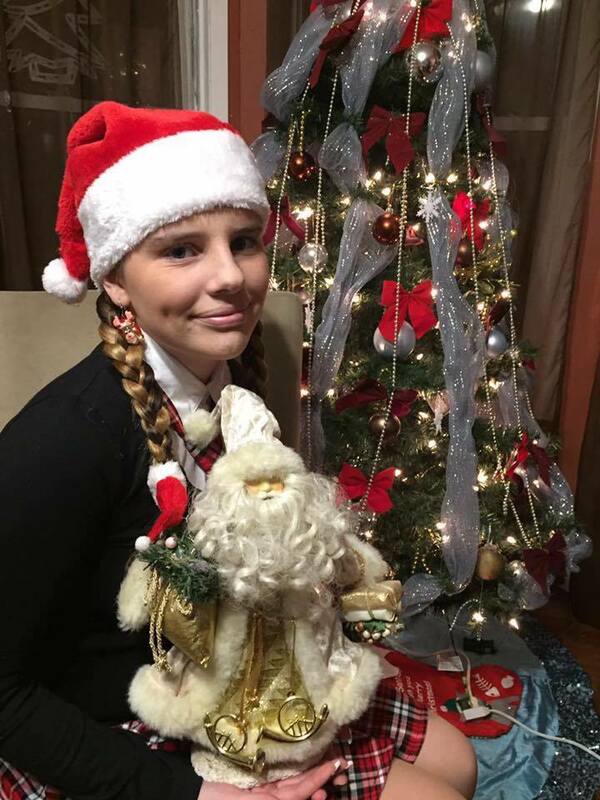 One afternoon, her 8-year-old niece Molly, asks the mall Santa to help find a boyfriend for her beloved aunt. Unbeknownst to Molly, and Hillary, the mall Santa is just a substitute filling in and is actually Ryan McCue (Fehr), a lawyer-turned-artist who is decorating the mall for Christmas and trying to find his way after quitting his job and losing his fiancee. As Hillary and Ryan begin to fall for each other, they each don’t realize the other’s true identity: Hillary who is tasked with closing a failing gift wrap shop run by Ryan’s Aunt Patty and Ryan who is too ashamed to tell Hillary that he is the acting mall Santa. Cast also includes Kim Fields (The Facts of Life) and Jasmine Guy (A Different World). Sterling plays cheery Agnes, who along with her husband, played by Dan Lauria, run the mall cookie store, bringing a combination of sweetness, advice and answers to all." *Thank you "Sleepy Kitty Paws" for sharing this cartoon! 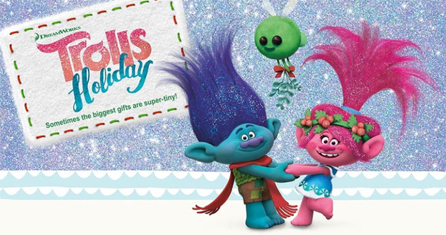 via NBC: About the Show- "Based on DreamWorks' hit musical-comedy film, "Trolls Holiday" is an animated special that continues the story of the Trolls and the Bergens. When Poppy, queen of the Trolls, realizes that the Bergens' calendar has no holidays to celebrate, she enlists Branch and the Snack Pack in a mission to enlighten her best friend Bridget and the rest of the Bergens about the importance of holidays. Can these two mismatched friends find something meaningful to celebrate, even if it's super tiny? The original cast from the Trolls feature film - Anna Kendrick, Justin Timberlake, Zooey Deschanel, Christopher Mintz-Plasse and James Corden - will fill this holiday season with toe-tapping songs and tons of fun!" Andrew Walker ("A Dream of Christmas," "Debbie Macomber's Dashing Through the Snow," and Bethany Joy Lenz ("The Christmas Secret") will star in this new Christmas movie titled "Snowed Inn" for Lifetime. *PLEASE NOTE - This List has changed - please see my Christmas Movies on TV page for updated details! Official logline: "Travel writer Emory has never had a traditional Christmas. Having grown up bouncing around the globe with her vagabond parents, her adult life mirrors much of what she learned growing up—life’s easier when you’re not tied down. Although her free spirit makes her the perfect travel writer, a surprising breakup with her boyfriend takes her personal life back to square one. Hoping to spend the holiday relaxing and recovering, Emory takes the picturesque Christmas vacation planned for the two of them, alone. Through a mix up on the rental site — or maybe a little Christmas magic — Emory is forced to share the cabin with Scott, a handsome widower, his young daughter and mother-in-law. What begins as an annoying inconvenience blooms into a romance she never knew was possible, and a Christmas they will cherish forever." 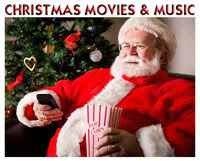 *PLEASE NOTE - This List above has changed - please see my Christmas Movies on TV page for updated details! Nick Viall (The Bachelor season 21) is working on a Christmas movie with actor Kristoff St. John ("The Young and the Restless") and Vivica A. Fox ("Summer in the City," "Annie Claus is Coming to Town," etc...). Note: If any of the MOVIE TITLES currently listed above end up NOT being Family Friendly, I will remove that title from the list. I hope you enjoyed looking at the upcoming Christmas movies for the 2017 Christmas season! Stay tuned for more additions! Let's keep Christmas in our Hearts all throughout the Year!! !